Remove the cardamom from the pods. Toast the whole spices and grind in a spice grinder until it is a powder. Get some oil going in a hot pan. 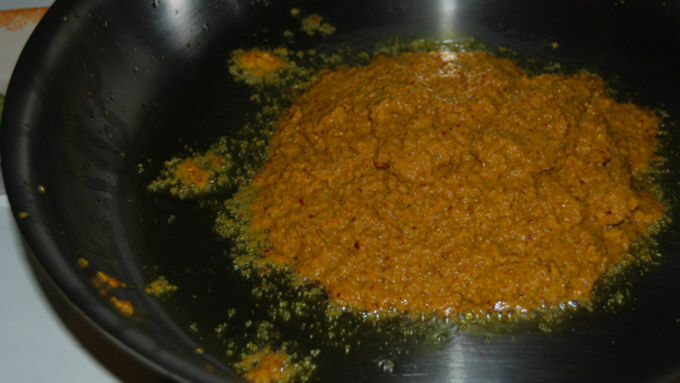 Fry paste in the oil for 2 minutes. Add the coconut milk and let simmer 15 minutes. Slice and add the green pepper. Cube the fish and add to the curry. Cook about 5 more minutes and serve over rice with the cilantro leaves as garnish. 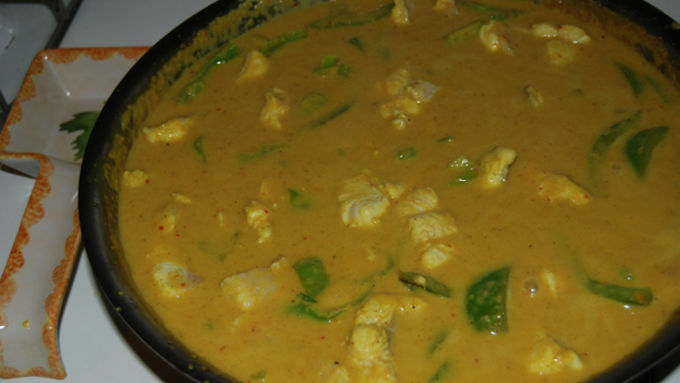 I don't know if this is true for everyone, but for me, the colors of Thai curry specifically go with a certain type of protein. Yes, it may say "Your choice of protein" on the menu, but with me, I always get green curry with chicken, red curry with beef, and of course, yellow curry with fish or seafood. 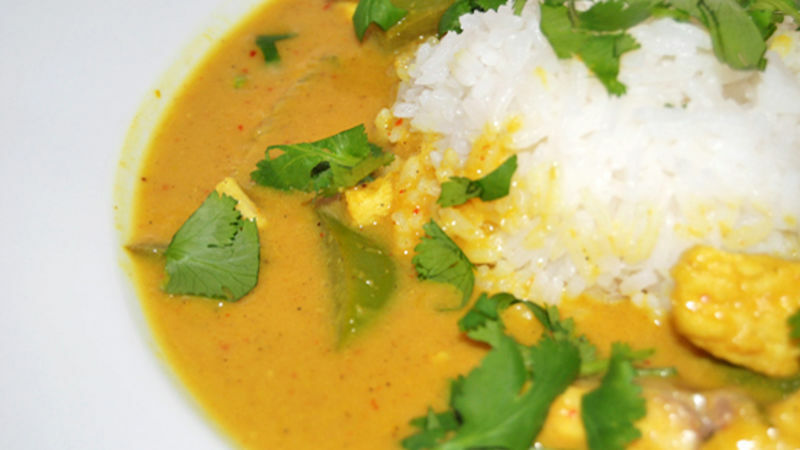 Yellow curry is a bit different than the other two colors. It has more in common with an Indian curry than its colorful Thai siblings. 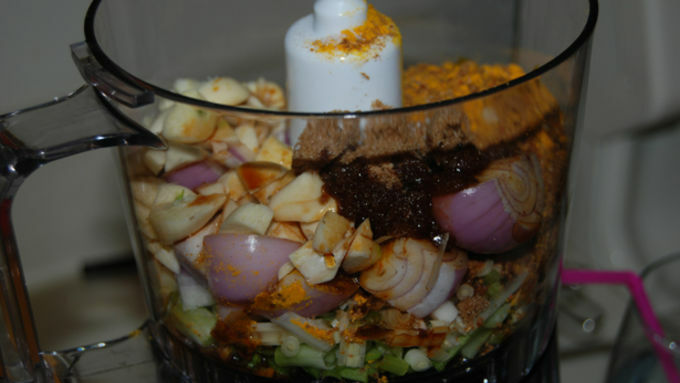 This is because it has a spice mixture similar to the Indian Garam Masala mixed into the curry paste. 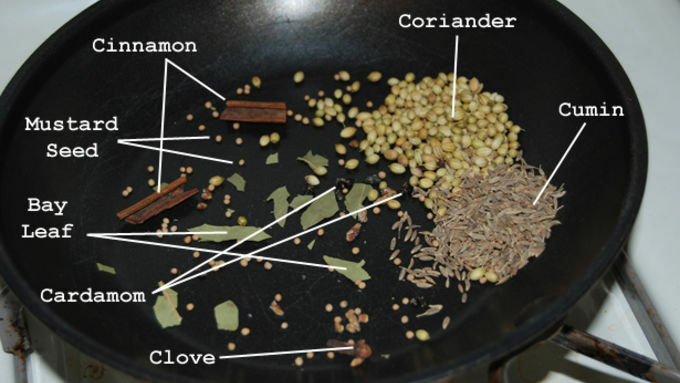 The ingredient list of a dish like this may look intimidating, but if you have a stocked spice cabinet, you are good to go! The rest is just blending everything down to a paste and simmering some fish on the stovetop.